Missing Entries: Initially the screen will default to Missing Entries; this will show any results across the data file that you have selected that do not have a recognised member ID attached, therefore would not be expected to upload to ResultsHQ. This is particularly useful at beginning of season when for instance; John Smith may have run a race, but didn't have their barcode/patch. 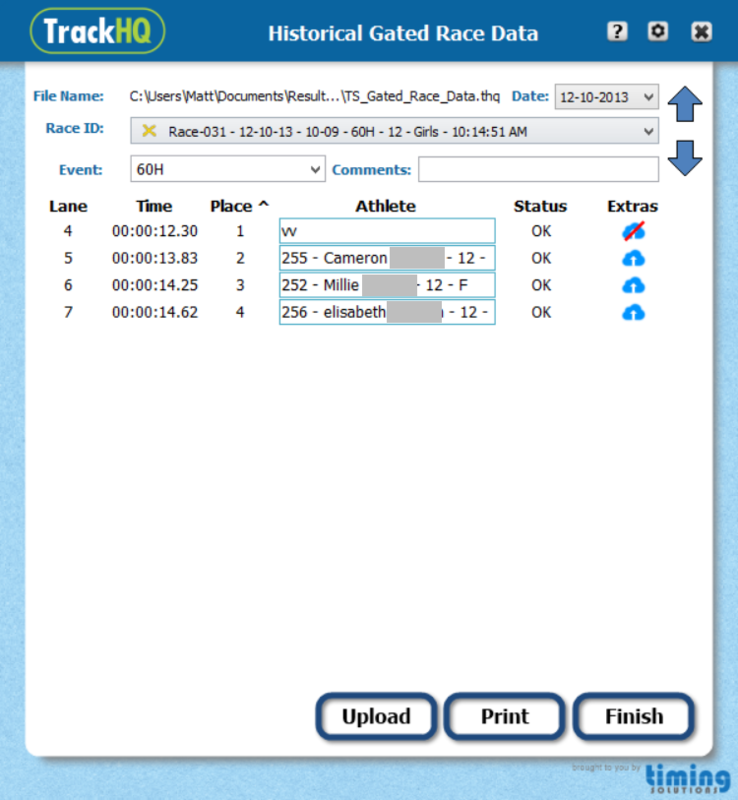 Therefore the finish line operation simply types in 'J Smith'. After the competition view RaceHQ Editor the operator then writes over John Smith with the Member ID so that it is truly recognised by RaceHQ Editor. CRs: Centre Records are marked by a silver trophy. You can choose to invalidate the trophy by clicking on it and choosing Yes at the prompt.